The 1960s mark the beginning of the approach of photography in a different context under the umbrella of contemporary art, and such names as Douglas Huebler and Ed Ruscha are its pioneers. A medium in art representation during this period, camera does not mean more than a documentation instrument, a simple copying tool, or the instant snapshots that are taken in museums, travels, fairs today. On the other hand, expectation from the audience was built upon -more or less- their perception reflex. Nowadays, colored or black-and-white photographs that we come across in biennials, art fairs, art galleries and museums, are equivalent to paintings, in terms of their visual attractiveness and sales appeal. In this context, photographs are represented to viewers as artworks, and they are approved to be so by the buyers. What were the radical ideas of the artists of 60s when they integrated photography in contemporary art, and who were their target groups? It is possible to evaluate the works of Vito Acconci, Victor Burgin, Dan Graham, Bruce Nauman, Hans Haacke, and many others through this important question. These artists used a semi-mechanic tool producing images in questioning the dominant position and status of the art object defined as being unique and original. But how? At the most basic level - if we leave aside the artistic and aesthetic criteria and the current market of our day for a moment - photography appears to be not ascribed as "art" and this was the same in the past as well. From the perspective of the audience, typically, photography included the discourse of bringing images of life into other people's lives. The motto of art was making the invisible visible and raising awareness about something that was not realized. Let's add the necessity of the rhetorical skill obliged by contemporary art to this mixture, and try to place photography in such an environment. When 60s is considered, a conflict between two basic photography orientations is evident: art photography and photojournalism. Artists who were using photography in a different context than these two, were developing a new photography movement. Photography in that period of time, was used to document the processes of a performance, a field study and art-specific installations etc., in fact, clues of that it will be used gradually by Conceptual Art can be seen at the time. Usage of photography by conceptual art - by adopting the clear & simple, amateur & snapshot qualities of photography - was creating a contrast with art photography. Museums commodified an auteur-oriented representation and developed their exhibition strategies by using the mastery of the photographs and their authenticity. At that same time, certain artists created and presented documents - in the form of an objective tool - that were produced using photographs, and pointed out a format that anyone could produce. It can be clearly stated that the conceptual art has adopted the functional and anti-aesthetic character of photography. The use of the camera was seen as an important tool for recording the social and political events of the relevant period, like the functionality of the video camera launched in the 1960s. This was due to the directness of the photographic image and functionality of the photography in terms of social image culture and media criticism. In this historical setup, by the late 1960s, photographs and texts began to appear on the walls of art galleries; in other words, the audience-mass looking at these photographs was determined. 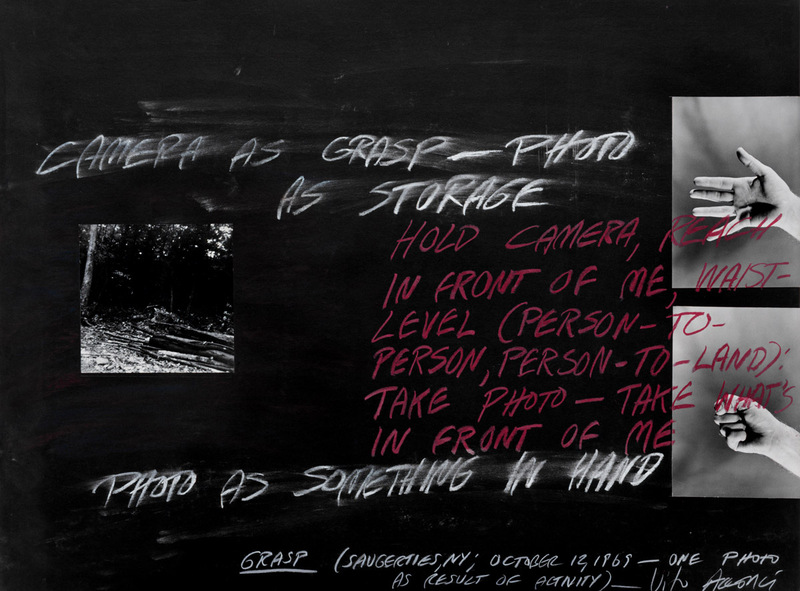 Conceptual Art emphasized the connexion between photography and language. Thus, in the 1960s and 1970s, many projects in which literature and photography were used together were witnessed. Naturally, the history of the use of image and language together dated way before than the 60s, but in silent movies or posters not visual arts. 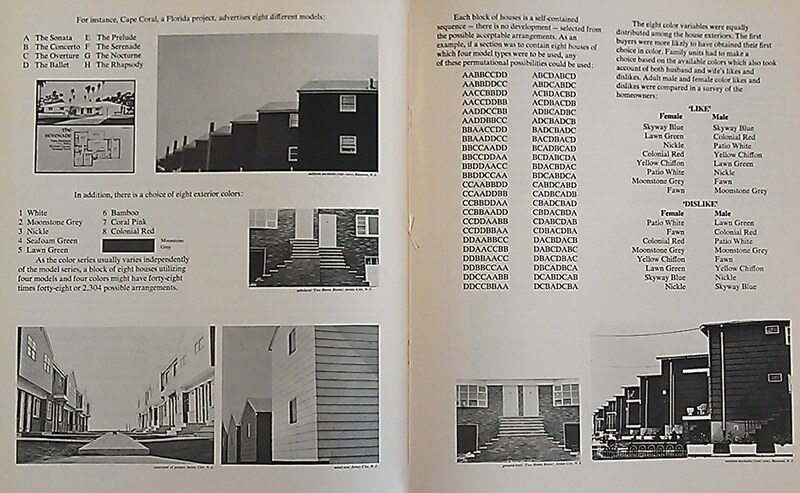 Products created by using language and photographic image together was rejected by modernist theories at that time. However, no image is simply an image by itself. Photography was thus beginning to get involve in intermedia and not only exist as a mere photograph but was also becoming a part of video, performance, and installation. Well, it is problematic to see contemporary art and photography as alternatives of each other. Isn't photography actually a contemporary art? (What can be more contemporary than pressing the shutter today?) Sometimes it is not art but just contemporary, so it is something outside of this field (just like passport pictures). As Susan Sontag points out, photography is a universal language that can basically carry any meaning and the advantage of it is great. And although, audience/ art-lovers have a healthy non-artistic attitude and a direct search for the truth, it is sometimes impossible to explain this to them. The photography was appropriating general media forms. We can exemplify John Baldessari's paintings which he used image and text together. Other examples of this may be Dan Graham's "Homes for America" as a publishing project in 1966 and Robert Smithson's "The Monuments of Passaic" in form of a travel diary. In the case of Dan Graham and other names, the direct language of the photographs was used in the same way. On the other hand, if we consider the pop elements in this photographic image and text cooperation, Ed Ruscha's work titled "26 Gasoline Stations" in 1962 can be included in this group, and besides that the book is presented in black and white form as if it is an objective presentation of information. 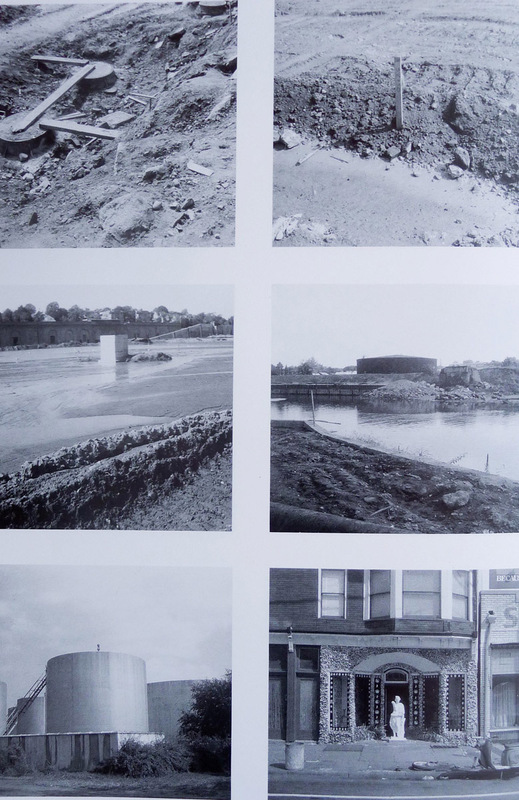 In the relationship between the photographic image and the text usage in conceptual art production, it can be seen that the method of registration of bureaucracy and scientific research documentation methods are used. For example, the works of Douglas Huebler includes maps, diagrams, and guidelines; Adrian Piper presents his documents and notes in ring binders and also it is the same with the work of Hans Haacke, "Shapolsky et al. Manhattan Real Estate Holdings, A Real Time Social System" as well. Of course these works, become an "aesthetic style" of Conceptual Arts, in other words, it has become a memorized form that we often encounter today. Maybe because of the statement that declares that "these works are not art", or the fact that they are presented in an art gallery, encourages the audience/ reader/ thinker to ask immediate questions. Even today, the use of images and texts is associated with the still common illusion that it does not contain a commentary on the presented event, but merely presents the truth. Of course, this document/ary status of the photography shows its difference from "language", but is this really like that? Does a photographic image carry any symbolic, ideological meaning that is pure, rare and without connotation? And the art of it of course. While language is seen as a system of signs, can the photography claim an autonomy independent of signs? If photography is not a standard sign, then we need additional information to understand/ explain these products. Language unties the knot where photography can't go in since it lacks a non-coded, syntactic sequence. The communication space of the relationship between this language and photography and its presence in mass media and its relation to artworks have emerged in this period. Today, photography is seen as an ancient discipline. Generally, this is the place where art remains are hidden. Art loves photography environment as it is "simple" and "artless" and "direct". Artists are in a curatorial position while they are creating numerous "research installations" and "image collages". For photography to be understood as a document or information, it may be necessary for it to have an attachment like subtitles in silent movies. In this way, we can understand why so much text support is used, in both art and a use of unconventional material/ object, so that it can be read and interpreted. Remember the art colophons with generous number of paragraphs. We can summarize the structure of the idea of art in this period -which includes both opposition and egocentrism - as follows: The aim of art is not to give instructions, on the contrary, it is to give information only. How will the audience perceive this? This is left to streets of coincidence. Here we can conclude this: The artist should not try to produce a beautiful object, the only purpose is to carefully catalogue the results of his/her hypothesis/ proposition. Some of Hans Haacke's works runs into a stone wall when it involves with social problems. As we mentioned above, the black and white photographs of abandoned apartment buildings are still popular among contemporary art, and it has been like this for a long time. However, everything changes when you present a documentation list that hasn't got any aesthetic value, and the fact that these lists includes the names and conditions of the building owners. Thus we can reach the following conclusion: The basis of my argument, is not only emphasizing the importance of indexical and referable capacity as a tool, but also trying to explain that the way of using of the language added to those images, directly affects the meaning of them and customizes that information. Generally, young photographers are ready to lean the idea to become contemporary artists and therefore need site-specific works, artist books, slideshows, audio, and written additions. But what is at stake here is to take control of the image and the narrative. What will be the place of the direct photography in art and painting exhibitions? Answer to this, time will tell.